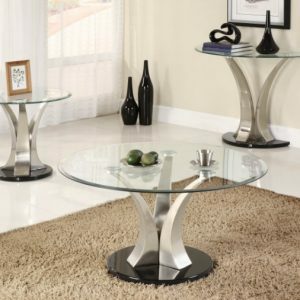 Bring a distinctly modish tone to your living room with this lovely Krystal coffee table. 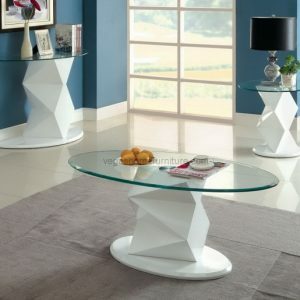 The table’s center diamond design makes the base a true standout, ensuring it looks more like a work of art than a piece of furniture. The base is made from stainless steel with a chrome finish for a sleek and impressive contemporary vibe, and the mirrored top lends it a touch of sophistication while adding a dimensional effect to the presentation.